Filled with great games designed to aid child development and allow our young children to learn through play, the CBeebies Playtime App has reached 3 million downloads since its launch one year ago. The latest update sees things get a little furry. You may have heard that CBeebies and Sesame Workshop joined forces to produce ‘The Furchester Hotel’ - a children’s show set in an ‘almost’ world-class hotel run by a furry family of cheerful monsters. Chaos ensues, as you’d expect. Furchester introduces brand new characters, welcoming the beloved Elmo and Cookie Monster from Sesame Street. Coinciding with the show’s premiere this September, the CBeebies Playtime app launches a brand new Furchester Hotel Game in its latest update. 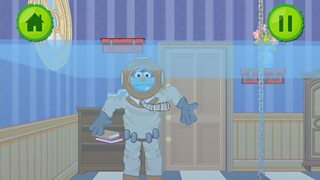 App users can explore the hotel and solve some monster problems, like making music for Elmo to dance to, or helping Furgus to drain a flooded room of water. There are different ways to solve each problem - even the silliest ideas might work. 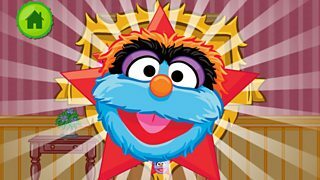 To mirror the TV show, CBeebies Playtime’s Furchester Hotel game promotes and builds on open-ended problem-solving skills too. It focusses on the idea that there can be more than one way to solve a problem - encouraging the player to experiment with potential solutions, and even make mistakes in the pursuit of finding an answer. Whenever possible we’ve used playful animations for incorrect answers so the child doesn’t feel prohibited to take risks. Each problem is fun-filled, and calls upon intuitive app features. Shake your device like a snow globe to create a blizzard for the Penguin Bobsled Team, or sing to Elmo and give him something to dance to. These features provide lots of opportunities for fun and engagement and are designed to encourage the little ones to play them again and again. We really hope they will love it. That’s not all. The Furchester family are not the only ones to check into the CBeebies app. New Alphablocks words: The Alphablocks ‘Word Magic’ game helps support the development of early year phonics skills. This update features a completely new set of words for kids to have fun making and reading. It also includes an added element giving children the chance to help the Alphablocks use their new word in a sentence too. New Octonauts missions: Kids can expand their Octonaut Cadet Training with four brand new missions, guided by Kwazii and Pesco, exploring the ocean floor helping to rescue and protect creatures in need of help, including helping to clean a shark’s teeth. New features to the Andy’s Dinosaur Adventure game: We have squeezed even more into the Andy’s Dinosaur Adventure game with two brand new features: play ‘fetch’ with their dinosaurs; and help Andy to keep the dinosaurs clean with a swipe action on their device creating soapy bubbles. The CBeebies app has been played over 15 million times at an average of 9 minutes each time over the last three months… That’s a total of over 135 million minutes of CBeebies Playtime fun enjoyed by little ones across the UK. We understand summer is always a great time to be out and about, and family trips sometimes involve long car journeys. So we’re hoping we’ve managed to keep CBeebies fans entertained as they have been on the go this summer, with over 11 million app plays across July and August alone. Over the next few months we’ll be working hard to add a very special surprise into the Playtime app, for little ones to get ready and countdown to Christmas. And for you grown-ups… many of you have told us what you and your little ones love about the app, what their favourite game is and what you’d like more of. We really appreciate that feedback, so thanks for letting us know. We’re always interested in your suggestions and ideas. Please do leave a comment below. Lucy Beckett is Content Producer, Children's. The Furchester Hotel starts on CBeebies on Friday 26 September at 5pm. Read a Q&A with the Furchesters and the performers on the CBeebies Grown-Ups blog. Read more about CBeebies activities online on the Internet blog.